When former WBO welter champ Jan Zaveck was injured SES - co-promoter with Sauerland for the big show August 25 at the O2 Arena in Berlin - was left with an empty spot on the show. 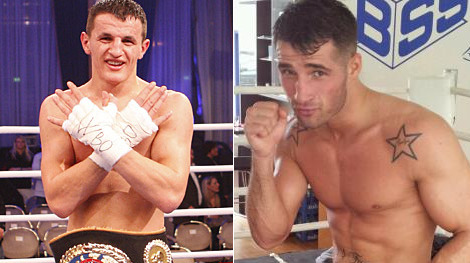 It´s now however filled and lightheavy Robin Krasniqi, a somewhat inflated 37-2, will take on former stablemate Serdar Sahin, 20-0, with the WBO Int´l title at stake. Krasniqi, who lost two of his first three fights, was earlier this year named challenger for WBO champ Nathan Cleverly but it took some time before he was approved as challenger by the British Board - and later Cleverly pulled out with an injury. Sahin began his career as a semipro in a tournament staged by SES where the first price was a contract with SES and Serdar was with them until 2009 when he was 17-0 and German cruiser champ. Since then he has been a freelancer and of lately he´s been seen in the gyms in Berlin run by Team Sauerland but with fights few and far inbetween.